Gespeg, the end of the land... 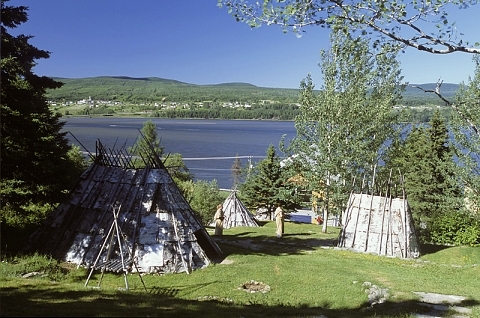 Explore the Mi'gmaq universe thanks to the Micmac Interpretation Site of Gespeg. Visit the Aboriginal handicraft shop as well as the faithful reconstruction of a traditional village of the 17th century where wigwams, fire rings, utilitarian objects and hunting traps depict the pratical and ingenious lifestyle of ancestors. Senses will be awakened while hearing traditional drum and song, by sharing the Aboriginal traditional bread topped with maple syrup, and sitting inside the big wigwam, the place for meeting and exchange with the ancestors. Guided visits (French and English). Average length of visit: 90 minutes.